Hydrotherapy tubs, also known as spas, whirlpools, and hot tubs, are highly beneficial. While these were once only found in health spas and health clubs, more people are opting to purchase these beneficial tubs for their homes, for more frequent use. You need to know what to look for when buying a hydrotherapy tub. 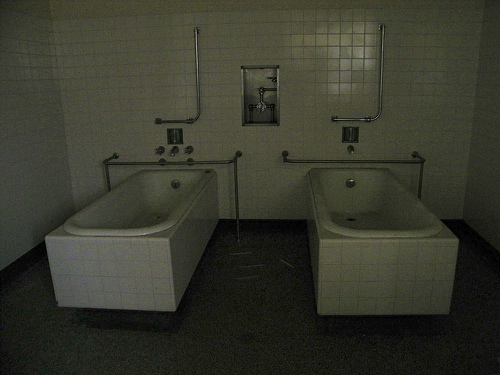 Hydrotherapy tubs were once very large, and required a great deal of space. This is no longer the case. Today, you can purchase a hydrotherapy tub that will fit into the same amount of space that a regular sized tub fits into. The standard length for a regular bathtub is thirty to thirty-six inches wide and about 60 inches long. If your hydrotherapy tub will be replacing the bathtub that you have now, make sure that you get one the same size. Also consider the odd shape of the hydrotherapy tub, to make sure that it will fit in your space, without looking out of place, and without causing any space issues. Hydrotherapy tubs these days can be very fancy, with tons of features. They can also be very confusing to use. Have a clear idea of what it is that you want from your hydrotherapy tub, such as the ability to change the pressure of the water coming from the jets, the ability to move the jets to different angles, and built in sanitation systems. Unfortunately, if you don’t know how to make use of these features, you are just spending money that you don’t need to spend. Make sure that you are getting what you want – nothing more, and nothing less. Price is always a concern, but quality is a higher concern considering that this isn’t something that you can just throw out in the garage if you aren’t happy with it. You need to look for the highest quality hydrotherapy tub within your price range. While features matter a great deal, the quality of the tub mainly focuses on the materials used for its construction, and the quality of work in that construction. Take the opportunity to view the tub that you will purchase in person, and carefully consider the materials that it is made of and how well those materials are crafted to form your tub. At the same time, realize that the electrical components of the tub must also be of high quality. Check to see how those components are protected from water, and do a bit of background research on the manufacturer of the controls.